Coat : [ AUTREFOIS ] CLAUDE -NAVY- new!! 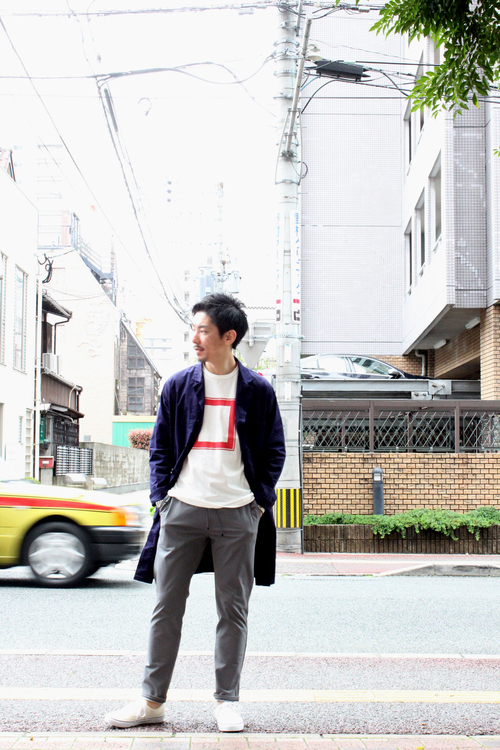 Tee : [ BLURHMS ] Lag Frame Tee -Off- new!! Pants : [ CURLY ] CLOUDY EZ TROUSERS -GRAY- new! !